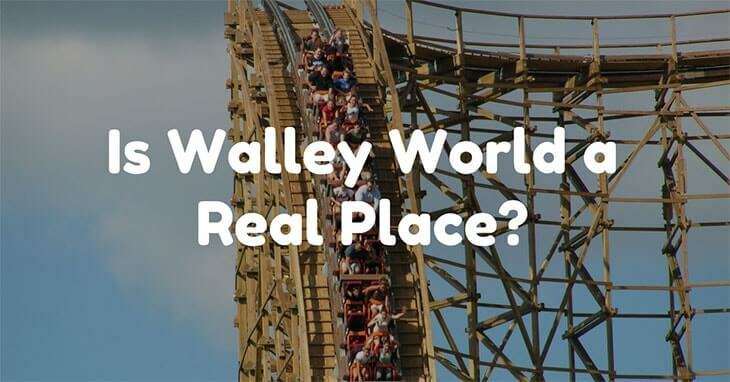 →Is Walley World a Real Place? So is Walley World real? The film was given a reboot in 2015 when the sequel, named just Vacation this time, was released and sees the original cast reunite for another vacation trip. This plot centres around Clark Griswold’s son Rusty, now grown up, who wants to re-live his childhood holiday with his young family. There is a real place called Wally World. That’s right, that is how it’s spelt! Perhaps for legal reasons the spelling has been changed but the crux of it is true. Wally World is real! This Wally World is a small part of a large amusement park complex in Ontario, Canada known as East Park of London. There is little similarity in this Wally World to the Walley World featured in the films but for a film fanatic’s bucket list it is certainly worth a hike up to Canada to explore! The Walley World featured in the original 1983 film is actually in Valencia, California. True to the tale in that sense that the family were actually in California for filming! The theme park that was used is called Six Flags Magic Mountain, bit of a mouthful right?! The rollercoasters that the Griswold family ride in National Lampoon’s Vacation are called The Screaming Mini and Revolution. The Screaming Mini is known in the Six Flags Magic Mountain Park as Colossus. It is an old-school traditional wooden roller coaster with twin racing. Sadly this Colossus can not be ridden in its original form, in 2015 the park had a revamp and the wooden tracks are not more. Colossus has been transformed into a steel-wood hybrid roller coaster and has been renamed at Twisted Colossus. Revolution, as it is named in the film and by Six Flags Magic Mountain, is still running well and when I first opened in 1976 was held in high esteem for it was the first steel roller coaster to feature a loop-the-loop. The production team decided not to use Six Flags Magic Mountain in the 2015 Vacation film, for a number of reasons unbeknown to us. Instead, the filming took place over in Atlanta, Georgia at the Six Flags Magic Mountain park there. This park looks so very similar to that in Valencia, California that even the most avid of fans did not clock the difference. There are certainly parallels between Wally World and Walt Disney World. The films were a screen adaption of the short story ‘Vacation 58’ written by John Hughes. The story was adapted into the film by Hughes himself so it is safe to assume that use of the trademarked Disney names and locations were not permitted. Think about it, Walt Disney World….Wally World. And then Mickey Mouse to Marty Moose! 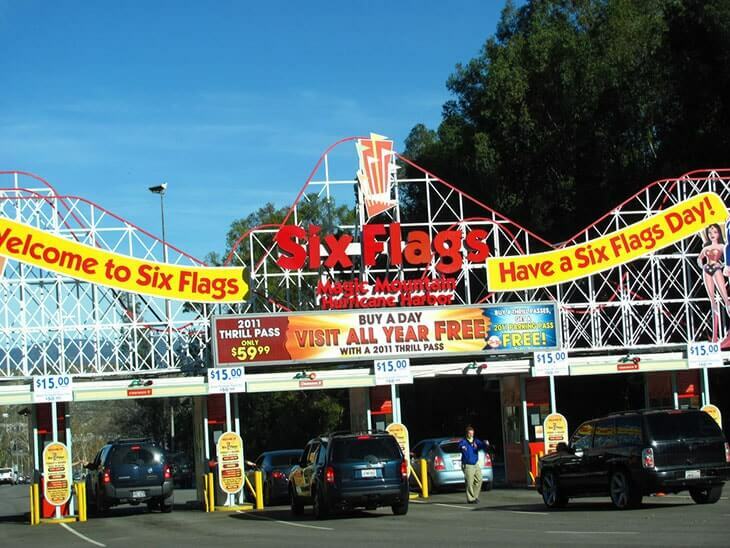 Six Flags Magic Mountain in Valencia California was the theme park used in the original film and is a great day out for all the family. Home to Hurricane Harbour, Full Throttle and of course the Twisted Colossus a trip to Six Flags Magic Mountain is a must for any avid National Lampoon’s Vacation fan! Entry tickets can be bought online and the directions to access the park from every corner of California can be found here. Six Flags Magic Mountain in Atlanta, Georgia offers similar early entry ticket deals and season passes can be used at both venues, helping maximise your theme park fun! Their website is full of super helpful information about how to plan your trip but to find out how to get there check out the link. If you want to hike all the way up to Ontario, Canada to visit Wally World at the East Park London then be our guest! 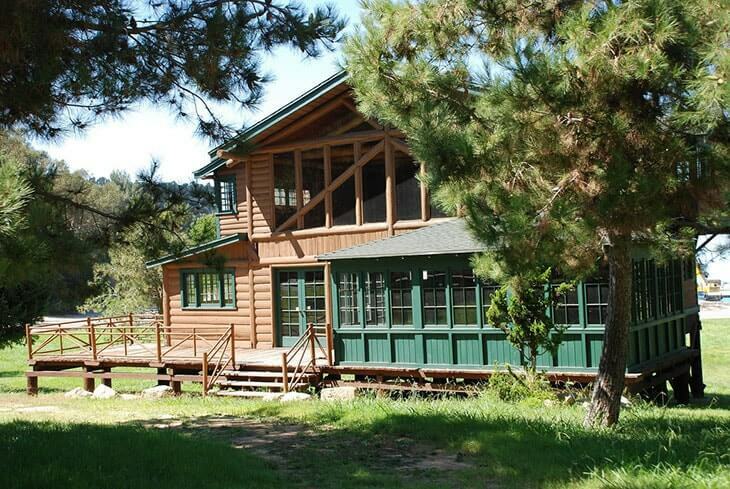 The park also offers guests use of the golf course and go-kart racing! The East Park London is a great day out for all the family but without the presence of Revolution of Twisted Colossus may not feel like a true Wally World experience! Yes, in sort! Although not as you recall it in the films a trip to Six Flags Magic Mountain will help you reenact those classic moments from the films!